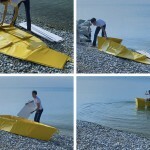 Foldboat is extremely practical and seriously aesthetic boat, created by the young designers Max Frommelt and Arno Mathies and one of the remarkable participants on this year’s London Design Festival. 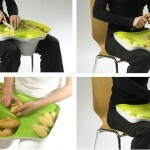 It consists of a single, standard-sized, just 5mm sheet of plastic, which can be easily flatten for easy storage with it’s 250 x 150 cm or quickly folded into the shape of boat to carry 2 people on board. 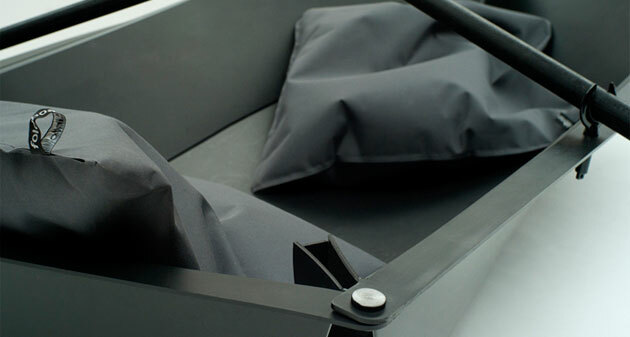 We particularly like the graphite color, clean shape and the minimalistic design – both waterproof, floating cushions make your journey on water really comfortable, but also guarantee your safety as they are water tight and float.